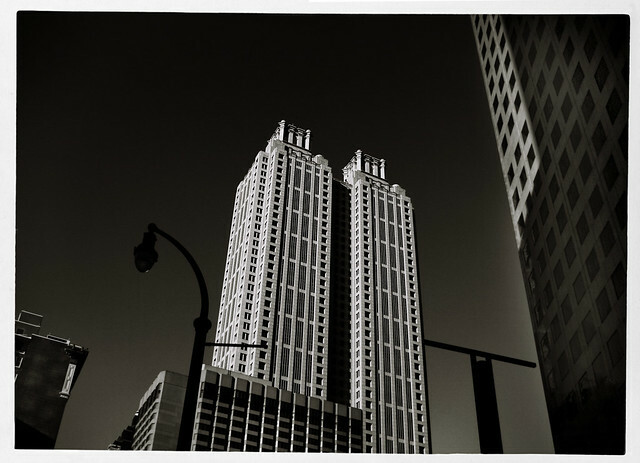 191 Peachtree Tower in Atlanta’s downtown on an October late afternoon in 2007. 50 stories, completed in 1990. I’ve pulled out some photos from that shoot I never bothered to work on before and have also some nice pics of the work going on at the time in the building of Atlantic Station.